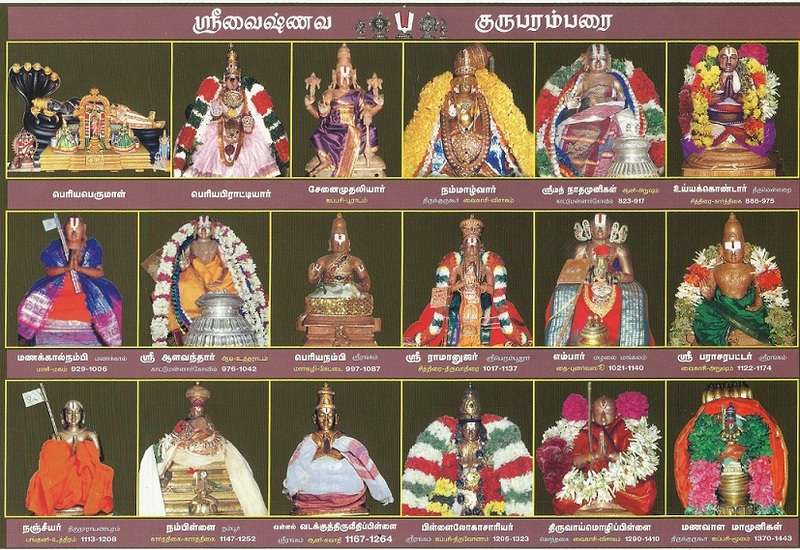 All of our pUrvAchArya granthams are written in thamizh, samskritham or maNi pravALam (a combination of thamizh and samskritham). It is most beneficial when pUrvAchArya granthams are studied under the guidance proper AchAryas/scholars. But the main challenges in this day and age for our sampradhAyam revolve around limited accessibility of scholars/granthams and lack of exposure to thamizh/samskritham knowledge. So, we have joined together to translate these divine granthams that will give a glimpse of these wonderful literature of our pUrvAchAryas. This website presents a consolidated view of the various valuable literature of our sath sampradhAyam in different languages which are translated/compiled by a dedicated team of SrIvaishNavas. We hope to add a lot more in to our archive and build a full-fledged repository of our sampradhAyam literature. Our objective is to present the principles explained in pUrvAchArya granthams in very simple and understandable manner in various languages such as English, telugu and hindi to start with. We pray that emperumAn, AzhwArs and AchAryas bless us in presenting this most valuable treasure to everyone who is interested to learn the same. vice nice and good work. Neatly Presented website.More Motivating website! My name is Ramamoorthi from Tiruchirapalli.My brother introduced Srimad Bagavath Githa of Srila Prabupatha. Once.Once i started reading that my search on Vaishnavism increased more!As i search on Internet about that i found Srimad Bagavatham another treasure. After that i wish to learn and hear more about Vaishnavism in Tamil.So i am sure Sri Vaishnavism,Nalayira Divya Prabandham gives me lot of comfort and peace for me and my search on life. I find lot of study material in word format and audio. Sometimes i am confused where to start and finish! But i wish to learn in systematic manner to enjoy Lord Krishna. Sir Please suggest me Is there is any course on Srimad Bhagavatham,Nalayira Divya Prabandham.I am not a Brahmin by birth and i wish to be a Vaishnava till death. Can Non-Brahmin can learn Vaishnavism? Please help me how to proceed with Vaishnavism! Can Non-Brahmin can learn Vaishnavism? Yes. Double Yes. Ramamnujar said Vaishnavism for all those who have interest. This site is the number one source. And read the entire length and breadth of this site. And after that you will know what the next steps are. That will be the first and best thing to do. Nalayiram is generally learned with a teacher where he recites lines and the student repeats three times. The teacher splits the lines into parts according to the comfort level of the students. If you are in India you can approach other Sri Vaishnava and learn. That will be a good start. Madras University has degree courses on Vaishnavism taught by eminent Sri Vaishnavite scholars. Madurai University also has. Adiyen add a few more lines to Swami Sowrirajan Reply. Kindly start with Panch Samaskaram to get initiated into Vaishnavisam and learning. Go to any acharya or Vaishnava Muth to get it done. Under Ramanuja Siddhanta every one is eligible to this samaskara. The Acharyan who initiates you would advise you and impart knowledge and do mantra upadesa. 2. SASTRA University, Thanjavoor, now offers a degree course in Vaishnavism. 3. If you have facility, pl listen to cassettes on Nalayiram by eminent scholars like Dr Venkatakrishnan, Malola Kannan , Sthalasayanam Iyengar etc. Learn one decad at a time. The above is not an advice but only a suggestion. Such a good suggestions…..thanks so much ..recently i started learning M.A in Divyaprbhadham form Sastra University. Glad to hear about your initiative in learning about srIvaishNavam. Surely, emperumAn and emperumAnAr will guide appropriately in your journey. Is it a correspondence course. I want to join please guide me. M.A in Divyaprbhadham is life time useful course ….just visit http://www.sastra.edu/index.php/headlines-archives/1425-admission-m-a-divya-prabandham or call the number of M.A.Venkata krishnan sir, or kannansir…they can provide the details .. I want know about Bagawan..
very nice,thanks for your post. Adiyen is a girl, born in a non-vegetarian, non-Brahmin family. Adiyen has a deep desire to become a Sri Vaishnava, has given up non-vegetarianism about 7 years ago(when adiyen was 15). Adiyen wishes to attain Ramanuja Sambandham and I have deep faith in Sriman Narayana, His consorts, the alwars and all the acharyas. How should adiyen proceed? Please don’t take adiyen wrongly. Adiyen is in a relationship with a non-Vaishnava(a good man and a vegetarian though). He hasn’t developed the taste in bhakti yet(as he is also born in a family like adiyen’s) but has subscribed to vegetarianism some time ago and has started to observe Ekadasi fastings. Adiyen prays to Sriman Narayana to bless him to get bhakti and nishta in Sri Vaishnavism soon so that we could proceed in bhakti serving the Lord and His devotees under the guidance of an Acharya as a couple in future. How should adiyen proceed at the moment, considering the possibility that he may not accept Sri Vaishnavism at the moment or in the near future? Can adiyen proceed to get Pancha Samskaram from an Acharya? Will Acharyas even consider initiating adiyen into Sri Vaishnavism while adiyen is still unmarried(as adiyen won’t be getting married anytime now)? What kind of Bhagavad and Bhagavata kainkaryam can adiyen do? Your desire to accept SrIvaishNavam is most commendable and truly emperumAn has sowed the seed of bhakthi in you. Surely you can proceed with pancha samskAram. Surely, SrIvaishNava AchAryas will initiate you. And hopefully soon, the person whom you are planning to marry would also accept the principles of SrIvaishNavam and accept pancha samskAram. Forgive adiyen for using ‘I’ in one of the sentences by mistake.